Destination One, Jaipur: The Jawahar Kala Kendra (JKK). 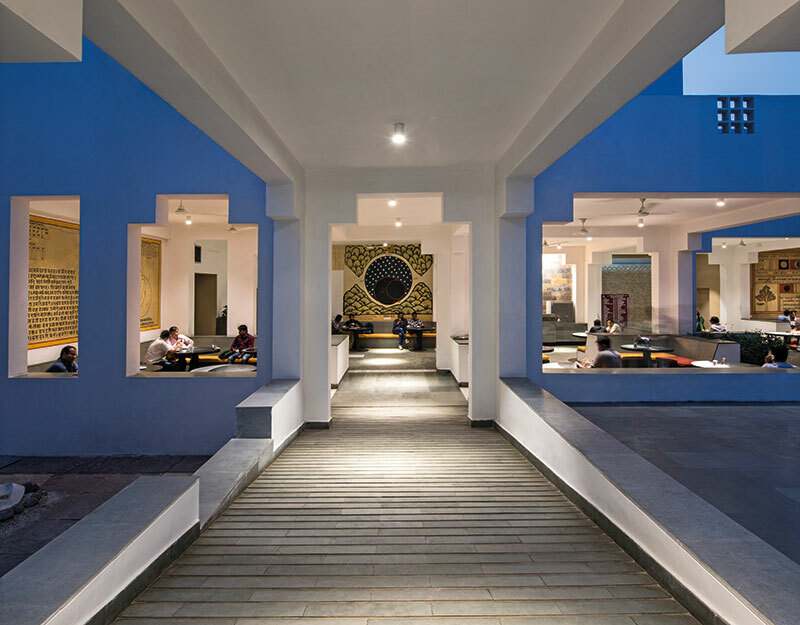 The multi-arts centre located in the Pink City was built — and is nurtured — by the Rajasthan Government with the intention of preserving the state’s arts, crafts and culture. Adapting and applying concepts from ancient architectural principles, the property — designed by renowned architect Charles Correa — is infused with local hues, feel and flavour. Destination Two, New Delhi: Khoj, the not-for-profit arts organisation in the country’s capital. Started humbly in 1997 as an annual workshop, Khoj completes two successful decades this year. It has built a powerful reputation, both nationally and globally, for being an alternative incubation space, with a focus on exploring the new and experimenting with interdisciplinary forms of creative practices. The one person who plays an important part in both these organisations is curator and art management consultant, Pooja Sood. The founding member and director of Khoj International Artists’ Association, she was appointed two years ago as the director general (DG) of the JKK. Having walked through the colourful spaces of JKK while I was in Jaipur in March, a few weeks later when I travel to the capital, I head out to Khoj for a morning meeting with Sood. I drive across several main roads and narrow by-lanes to reach the appointed address — and walk swiftly into the white-washed building, whose rooms are attractively set at different levels, and head up the steps to Sood’s cabin. And we are soon in conversation about her life’s trail that is dotted with so many artistic discoveries and explorations. 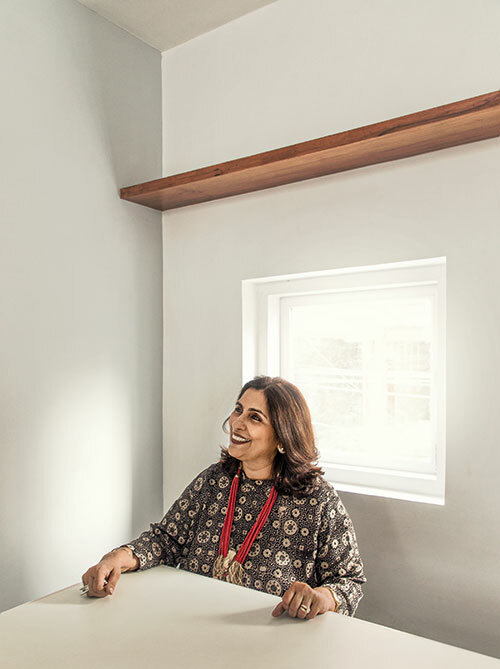 In this creative domain, her first big assignment was with the capital-based Eicher Gallery where, playing the dual role of curator and administrator, she learnt a great deal about successfully managing an arts space, especially a not-for-profit one. Sood mentions that she put together much-talked about shows at Eicher — to name a few, one on film actor Meena Kumari by Sheba Chhachhi; a retrospective of ceramic artist Gurcharan Singh of Delhi Blue Art Pottery and an exhibition of works by Indian and Pakistani artists, Mappings: Shared Histories…a Fragile Self. And her experience at Eicher stood her in good stead in her years at Khoj. 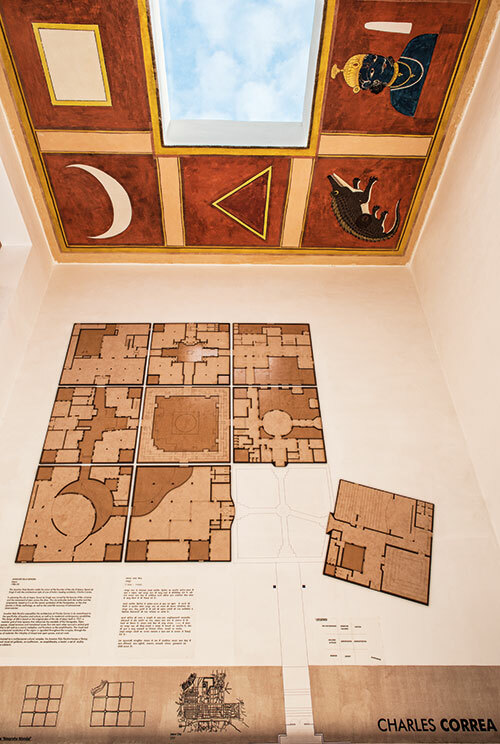 The idea of launching Khoj took genesis in a hall in Eicher and it was all due to the British art collector Robert Loder, and took shape with talents like Anita Dube, Manisha Parekh, Subodh Gupta, Bharti Kher and more. For the first couple of years, Sood ran it from her own home. The address where it is currently housed was acquired later and it evolved over the years. Diverse artists supported the fledgling organisation through its tough days — and even later, when the crunch of financial resources gnawed at their heels. For example, in 2011, 40 leading artists donated works which were then sold to raise funds. And an auction at Sotheby’s at another time saw works by 10 artists go under the hammer to raise a corpus of around two crore rupees for Khoj. “This was possible because of our reputation and the relationship we share with artists, not just in India but globally as well. As an experimental, non-commercial space, we have lived up to our reputation and delivered,” Sood underlines. Experimentation was then — and continues to be — the order of the day. Sood, states, “When we started, we faced many challenges. People thought we were mad. They wondered what kind of crazy art we were doing. Anything that is new is niche. But there was also an excitement in the art world. Her thinking at Khoj has led Sood to embrace the unusual and sees her participation in events like the Kochi-Muziris Biennale and India Art Fair. And Khoj’s journey has been dotted with several events that have caught the eye of not just the connoisseurs but the world-at-large as well. The Khoj Marathon, public interviews of 26 artists conducted by Hans Ulrich Obrist, is but one case in point. And when the collective completed its first decade, a voluminous tome, The Khoj Book, edited by Sood, presented the artists who had been a part of its journey. From Khoj’s inception, Sood has evolved, steering new programmes. She has worn multiple hats — some of these include posts like regional coordinator of the international artists’ network facilitated by the Triangle Arts Trust, UK and directorship of the project ARThinkSouthAsia, a fellowship programme sponsored by the Goethe Institut, are but two of her many roles over the years. Sood believes that a curator and gallerist also needs to be a good arts manager, who knows the importance of planning and budgets. She says, “Though we do not use the term arts manager so often — lest it be interpreted as being less than a curator — we actually manage art, speak to the world and help an artist to sell. I am not embarrassed about not being an artist; I love working with them on platforms like Khoj and JKK just so that people can see fabulous work. New ideas and cultural developments teach us to respect ‘difference’, if nothing else.” In all her roles, her MBA has helped — and her attitude of roping in specialists where she feels the need for informed decisions in domains beyond her core competency.